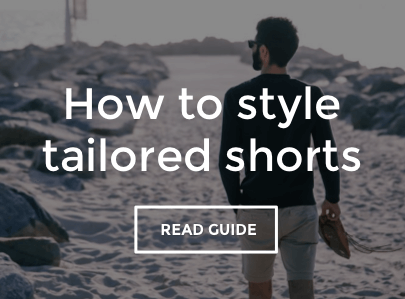 Keep your style game strong on those formal Summer occasions with a pair of tailored smart shorts. If you don't want to put on a pair of chino trousers, tailored shorts are the next best thing and can be worn with a crisp white Oxford shirt for an understated look. Keep the shirt tucked in and team up with a brown leather belt for extra detailing. Take a nautical stripe sweatshirt with you to throw on in the evening when it cools down and complete the look with tan suede loafers or brown leather boat shoes.